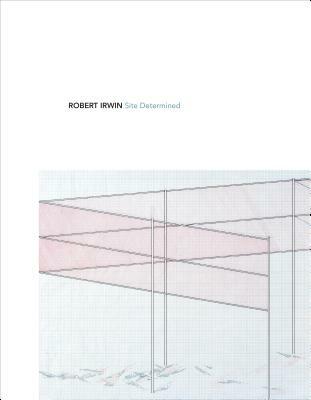 This book explores four decades of Robert Irwin’s outdoor environment projects through his drawings and architectural models. Over the course of a storied career, Robert Irwin has come to regard art as site determined, or something that works in and responds to its surroundings. This book opens with his projects on college campuses between 1975 and 1982. These are followed by Irwin’s major, yet never realized, commission for the Miami International Airport, where he proposed to transform the structure, parking lots, and roadways into a sequence of aesthetic and practical spaces that engaged directly with the South Florida environment. It then turns to one of Irwin’s most celebrated works, the Central Garden at the J. Paul Getty Museum in Los Angeles. Finally, the book takes readers to the Chinati Foundation in Marfa, Texas, and one of Irwin’s most ambitious works to date—a monumental artwork that brilliantly connects viewers to the land and sky. Throughout this collection of drawings, models, and photographs of magnificent, groundbreaking projects, readers will come to see Irwin as a visionary artist and a brilliant draftsman.